This season is being lived in a new city, and I’ve begun to learn what life in Canberra looks like for me. I am poet, storyteller, minister still, yet in a new way: embedded in a community of faith for whom I craft worship and sermons using poetry; to whom I offer challenge and invitation to consider how we live the Story of God, our stories; with whom I pray, laugh, weep, create, dream. I am learning how to be me with this new community, and when I started preaching strong cries for just living, making small changes to ‘the way we do things’, and settled into a calm and confident posture, we all knew I had found my place. I have made new friends in 2018. 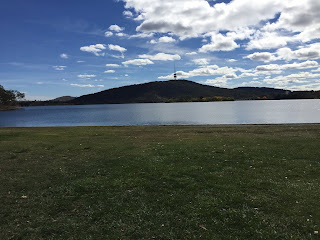 Arriving in Canberra, I had thought to approach the immersion in a new place in the way I began life in Edinburgh: connecting with many groups and communities and making myriad new friends. But it looks different in Canberra. 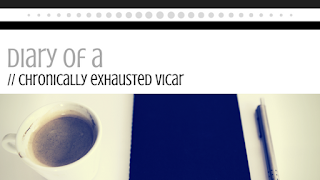 I have a wonderful friend in my ministry colleague, and our presbytery colleagues, too. I reconnected with some mates from a previous season in Adelaide, decades ago. And I have met a couple of women about my age who I think will become good friends indeed. Conversation flows, care has been offered and received already, dreams and challenges shared in new, but quickly deep, friendships. They do say that in your 40s you find you have fewer friends, but deeper friendships. I am learning how to negotiate fewer friendships, deeper friendships, distance friendships. I appreciate the patience and shared work on this with my friends. This season is a new decade - my 40s; 2018 my Year of Turning 40. I celebrated this milestone with friends in Adelaide, Edinburgh, Oxford, Washington, Dayton, Melbourne, and with my kindred spirit, Shakespeare, in Stratford-upon-Avon. (Canberra, your turn is coming). I learnt a long time ago to appreciate getting older, rather than engage in the worship of youth our culture promotes. I’ve had too many friends die too young, so that feeling sorry for having more time seems churlish, if not downright rude. And, as Joanna Lumley said in an interview once, I find that as I enter each new decade, the promise of better things to come enlarges, rather than diminishes. 2018 has continued a prolonged season of ill health, with chronic exhaustion taking new shape in Glandular Fever and post-viral fatigue, alongside persistently low iron. It has been frustrating, to continually reneg on commitments, miss out on fun things, sleep through days and weeks on end. No wonder this year seems to have passed by so quickly, I suppose. I have learnt, again, to receive care and help with gratitude and humility. A task made pretty easy when the meals brought to your door are so delicious! I am learning, and will keep learning in the new year, how to turn the need for stillness and solitude into an opportunity for a contemplative way of being. And my doctor has promised to learn more about my ill health, its causes, and how we can keep me moving towards wellness. I have been a Blue Koala with this situation from time to time, but I have learnt again to embrace the only constants: love, and change. Learning to love, and treasure those I love; learning to turn adversity into opportunity; learning how to be me in a new place, new community. 2018. A year like any other (but unlike any I’ve lived before).